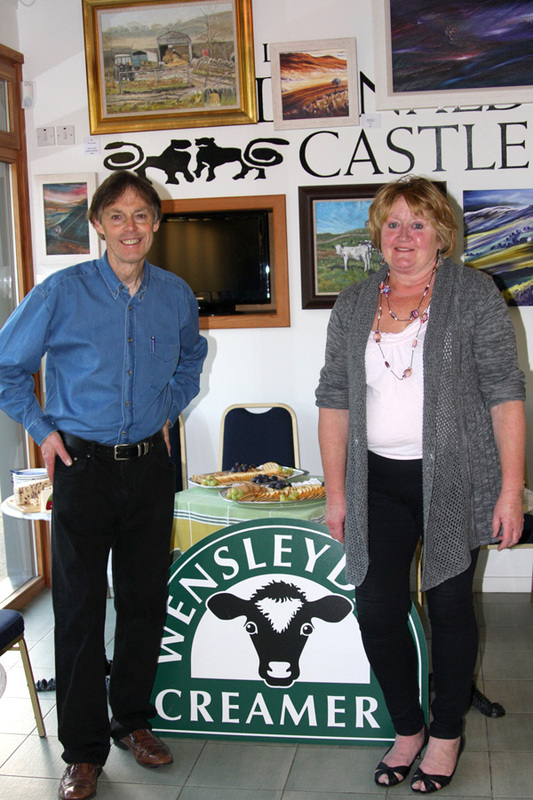 Here is Brian with fellow artist Moira Metcalfe getting ready for the reception to open their exhibition 'Taking Wensleydale to Scotland' at the visitor centre of Dundonald Castle in Ayrshire. 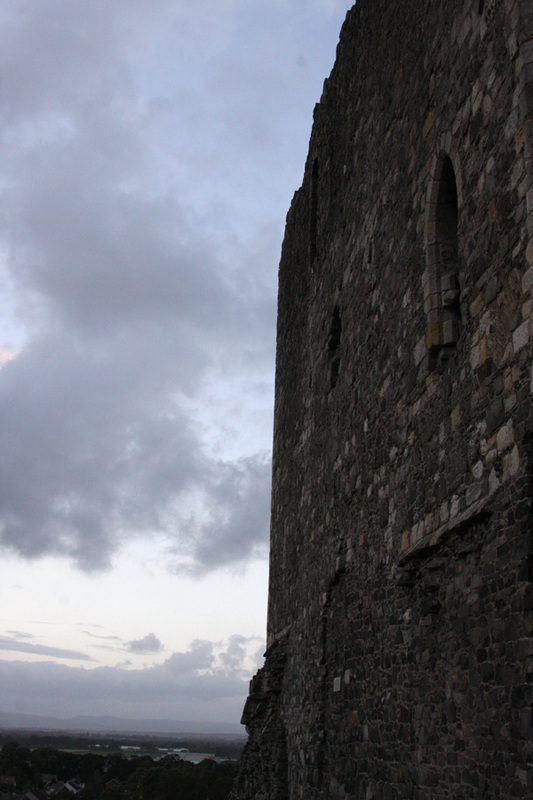 Dundonald Castle itself sits on top of a hill with splendid views over the surrounding countryside. Read all about it here. 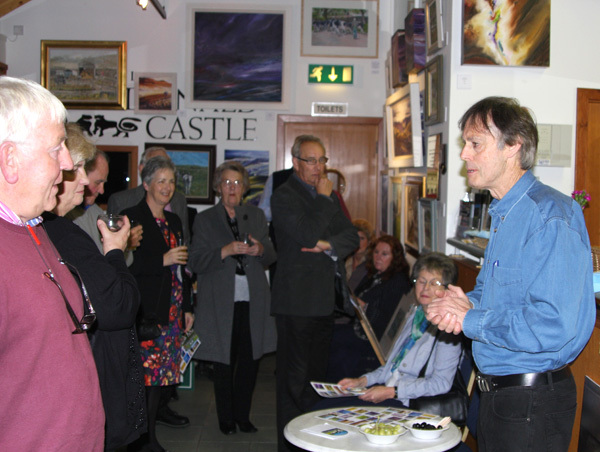 The visitor centre sits at the foot of the hill and was packed for the wine and cheese reception on Friday, September 28, organised by the Friends of Dundonald Castle. 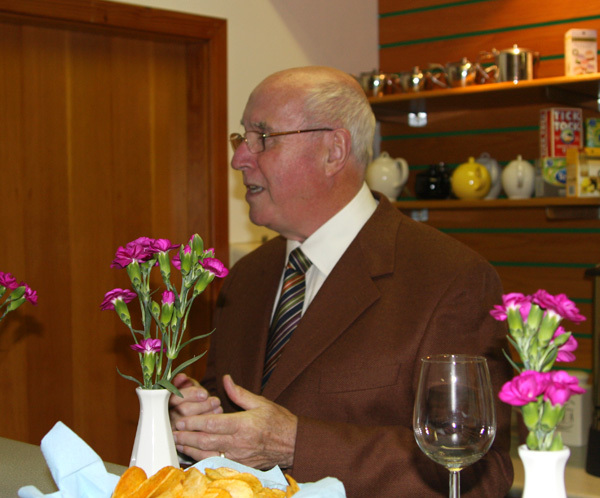 John Clark, Hon Secretary of the Friends of Dundonald Castle, welcomed everyone. Brian responded for the artists. 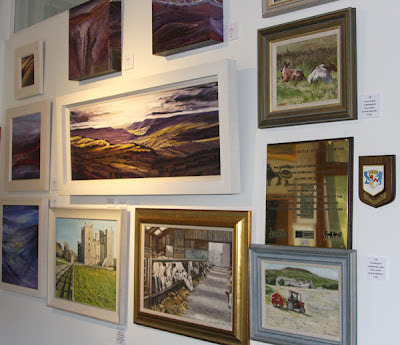 The guests included 'Friends', Dundonald residents, and members of local art clubs. 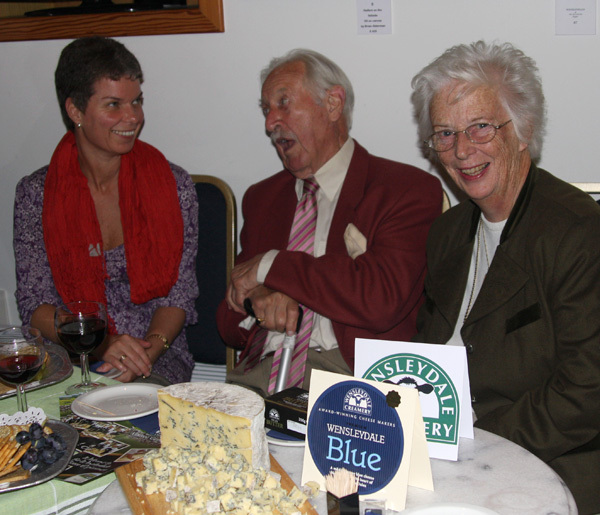 The reception was sponsored by the Wensleydale Creamery. 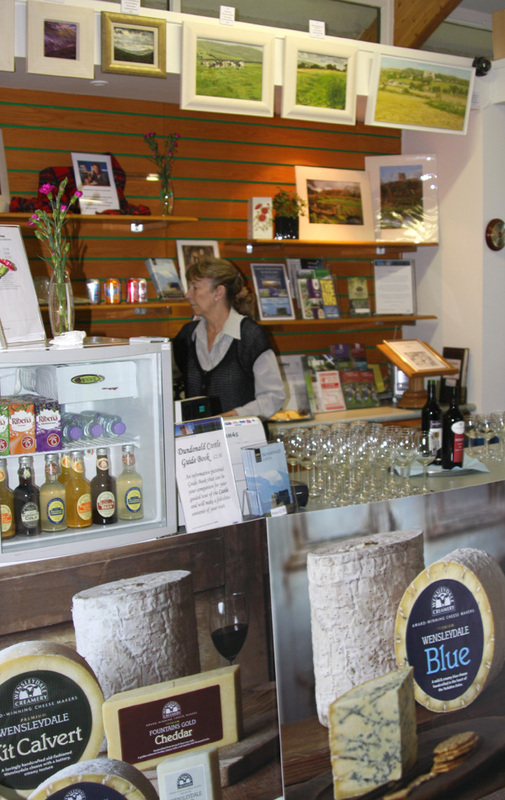 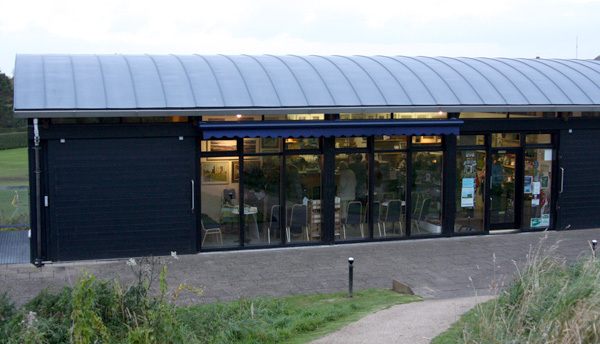 ...... utilising every inch of wall space throughout the cafe area of the visitor centre. 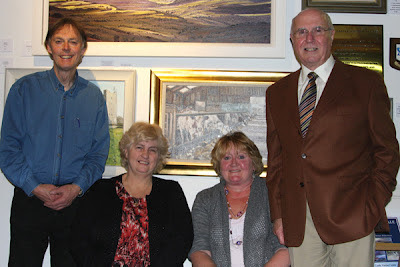 The exhibition runs until Sunday, October 28.